The question of safety at an online casino is by far the most crucial and critical one of today’s online gambling industry. This is the major factor that determines the reputability of online casinos. Given that today’s online gambling enterprise is rapidly expanding, the odds of coming across a disreputable online “establishment” are high as ever. Basically, online casinos fall into two major categories: casinos that are founded on integrity, and those pursuing shady and fraudulent goals. So far, numerous regulations have been issued, in order to decrease the scale of online casino scams. Nevertheless, it’s difficult to get rid of such casinos all at once; it’s better to encourage them to reform, so that they don’t end up reinforcing the common and often misleading stereotypes about online gambling. So in this article, we’re going to lay out the basic principles of how to identify a trustworthy online casino. First of all, any online casino should have a license that guarantees it is a secure and legitimate place to gamble. As a rule, this governmental document is issued by a credible jurisdiction of a country; so, once an online casino is given a license, this means it has successfully passed the necessary regulatory auditing, and that jurisdiction in question considers it to be an outlet that is both legitimate and secure. Licensed casinos do have a transparent policy that includes a full range of services: bonuses, promotions, customers service, deposits and withdrawals. There are numerous online casino software providers that only deliver their services only to reputable casinos. The selection of such top-notch operators features NetEnt, RTG, Microgaming, Playtech, etc. By finding out whether or not a casino operates on one of these gaming giants’ software, you can determine how safe it is. You should also keep in mind that it doesn’t completely depend on the provider’s big name when it comes to casino’s sustainability and validity. RNG (random number generator) is one more unarguably clear sign of a casino’s reputation. The RNG is the fundamental criterion that ensures the game is based solely on chance, and not on some cunning scheme generated by a casino to swindle the player out of their money. Reputable casinos normally provide in-depth insight into their RNG. This is another aspect that determines the reputability of an online casino. If a casino provides easy access to its bonus information, making its bonus system transparent, then you can definitely trust it. The way casinos treat their online patrons is one of the crucial factors that help to determine their credibility. 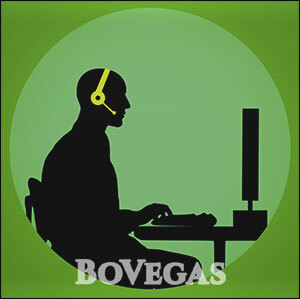 The presence of competent customer support staff does indicate a high level of professionalism and diligence on the part of a casino and helps to inspire trust among the more cautious players out there. Apart from the staff’s proficiency and expertise, there are other aspects of high-quality customer support service that should be considered: FAQ, email, and phone support! One more essential feature of a reputable online casino website is Secure Sockets Layer (SSL). This technology establishes an encrypted link between a web server and a browser, thereby giving the visitors safe access to the casino website. SSL Encryption is one of the substantial indications of casino website security as well as its customer loyalty degree. Things get especially critical and grave when it comes to conducting financial operations at an online casino. A reputable casino uses only reliable and trusted payment methods, although they often do offer a fairly wide variety – ranging from good old credit cards to credible third-party e-wallet services like PayPal, Skrill, and Neteller.